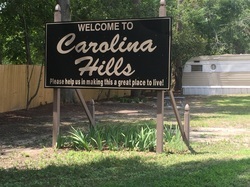 Welcome Home to Carolina Hills! Carolina Hills Mobile Home and RV Park is conveniently located in Jackson, South Carolina. A peaceful and quiet location in the country that is just minutes from downtown Augusta, North Augusta and Aiken. Whether you are looking for a long-term or short-term rental, we want you to call Carolina Hills Mobile Home and RV Park home. Our Mobile Home rentals offer 2-3 Bedrooms nestled on spacious lots. A Great Place to Work, Play and Relax! Conveniently located minutes away from downtown Augusta, North Augusta and Aiken, there are many great options for dining, shopping and entertainment that are just a short drive away. 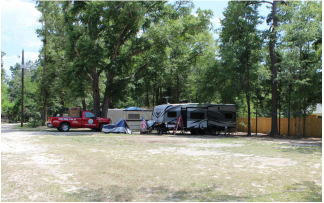 In addition to our Mobile Home Rentals, we also offer several RV and Camper Rental Sites. These spacious lots are equipped with power, water and septic hookups and ample parking space for your vehicle. We have friendly and knowledgeable staff on site to assist you with your needs at Carolina Hills. We appreciate our guest and want to provide each and every one with a great experience. ﻿﻿﻿﻿﻿﻿We promise to live up to our mission statement to provide you with a safe, quality lifestyle at an affordable price and to maintain our reputation as one of the finest mobile come communities in the CSRA. Achieve and maintain such distinction that Carolina Hills Mobile Home and RV Park gains a first-class reputation for gracious and warm hospitality. Provide a safe, clean and attractive place for our guests to enjoy and for employees to work. Ensure that each guest receives prompt, professional, friendly and courteous service. Provide a fair price to our customers. Do you have a question or concern about a rental or would like to check the status of an application? We have friendly and knowledgeable staff on site and ready to help you!